“Klein Associates”, an interior design company from Düsseldorf, planned the interior design of an existing 850 sqm lakeside villa near Potsdam and extended it from August to December 2017 for a private owner. The project was carried out with “Deutsche Werkstätten Hellerau” as the interior outfitters and KMD for the natural stone works. 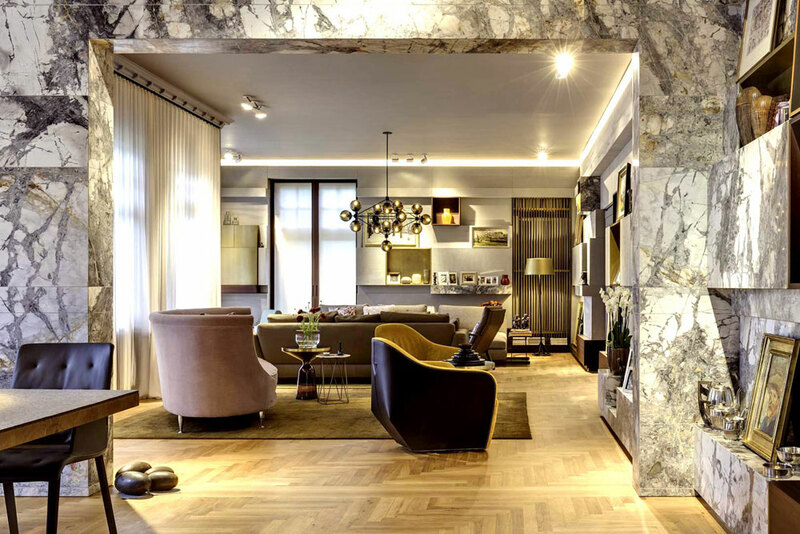 The particularly impressive “Invisible Grey Gold” stone was largely used in the living areas. The heavily veined structure of this white marble from Turkey sets the tone also in parts of the furniture in the hallways, and the sleeping and work areas of the house.